Clan History: Many years ago a small band of 3 ninja heralding each from a different village created a new summoning technique. This allowed them to call upon creatures not limited to animals and fill out the summoning contract with them. Although these creatures came in many different names (Djinn,Demons,Spirits) they all retained some sort of elemental power and came from an entirely new plain of dimensions from those of normal summons . With these summons the ninja became known as the legendary trio of the spirits. However over time the demons became bored with the constant servitude to these ninja and there petty conflicts and decided to break off from the ninja. The trio sought after the 3 demons as they rampaged across the land, Kūhaku (The Spirit of Water Illusions) was the first to be found. The group attempted a normal sealing jutsu which failed. It had sealed part of the Spirit away (causing Kuhaku to become a blank humanoid shape) but his consciousness and power was still with his body. Enraged Kuhaku took the life of one of the shinobi, however the other two had formulated a plan. If they could not contain the creatures within their bodies they would contain it within a different dimension. They retreated and using the blood of their fallen allied they wrote up the sealing contract, one that would trap the Spirit within a blank dimension. Kuhaku was too powerful even for that seal, so the Shinbo withdrew and sought after the other two, a Djinn of fire known as Moeru and a Demon of lightning known as Ākuha. Using a special sealing technique they used Moeru and Akuha’s chakra to supress Kuhaku and then sealed them away in this pocket dimension, but not before Kuhaku ripped a hole in space time and several demons, spirits and djinn escaped from their respective dimensions into the Shinobi world before it shut. The two shinobi also realised that the written lock was not strong enough, so in a moment of clarity one of the ninjas tattooed the contract and seal onto his own body, using his own chakra as the lock and finally stopping the chaos of the 3 creatures, the seal also caused the other two creatures to morph into a humanoid shape. These two shinobi were the founders of Shīringu Clan named after their fallen comrade . They continued across the land gaining followers as they found each of the demons, djinn and spirits that had escaped. Using similar sealing techniques for each of the creatures and placing them within their most loyal followers. This clan was kept entirely secret, traveling across the land and sealing the creatures away never letting any other village know of the enormous power some of their people possessed. Eventually they all scattered, when any member of the clan got near death their jinn or demons doorway was transferred into another host by branding them with the summoning contract that was used the seal the respective Djinn/Demon or Spirit in the first place. The monks of the clan only ever appeared to those who take a student who possess a djinn, spirit or demon, under their wing and only if the student shows signs of being able to use their demon’s power, warning them of the danger if the creature was released from the student and giving them a jutsu that may help with suppressing the student if they became too out of control. Kekkei Genkai Description: Most members are tattooed (Mostly across their body even spreading around their arms as the contracts are rather long. These People are referred to as Psuedo-Jinchūriki or Lamps by high up members within the clan ) to be a doorway for one or more demons in a pocket dimension (There is only one Pocket Dimension regardless of the amount of Djinn,Spirits or Demons in the host, they are all housed in the same pocket dimesion . Using the power of the person’s chakra the gateway remains sealed, the chakra working as a lock. 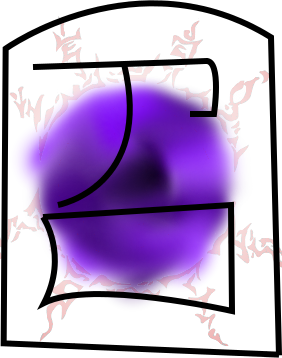 However this also means that the host has lower chakra .The demons although still trapped in the pocket dimension can still be viewed by the host as they appear to said host at the equivalent coordinates of their dimension to the human world, There host can also entered their pocket dimension by closing there eyes and focusing. The contracts the demons are bound to also means that they are not able to physically harm there host when they are in the demons pocket dimension. For users able to view chakra there networks can also be seen, however it is blurred. A similar thing happens when trying to view the hosts chakra aswell. When the host uses a jutsu that requires one of his demons chakra his summons it in place of his own charka making his network mimic the appearance of the demons one. If Djinn/Demon is released in thread (By entering State 4) Host suffers immediate knockout and will not be able to awaken for 2 posts, even afterwards no jutsu of the demons nature can be used unless the demons are resealed within host. If the host has normal jutsu that does not rely on demon chakra he/she must wait another post before being able to use these jutsu. 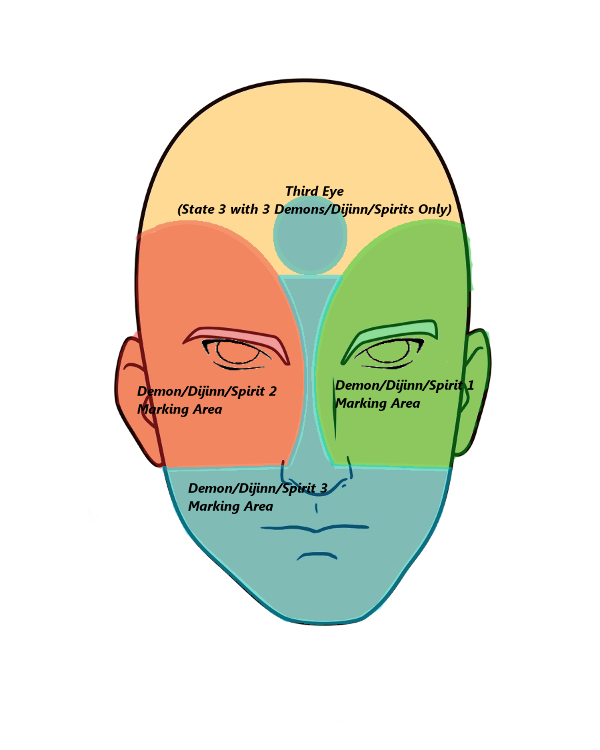 Unnamed Demon Chakra Access technique: Can select a jutsu that is not the same as your own chakra nature, one for each demon sealed within host (must be the demons nature though). These can only be upgraded, you cannot have multiple jutsu using a demons chakra nature (Eg: Fire Djinn, you can only have one fire nature jutsu, you can upgrade this (Which can change its name and even what it does to an extent) but you cannot get another fire nature move.) However if your nature is also fire you can have a jutsu using your fire nature aswell as one that uses the demon/djinn’s nature. 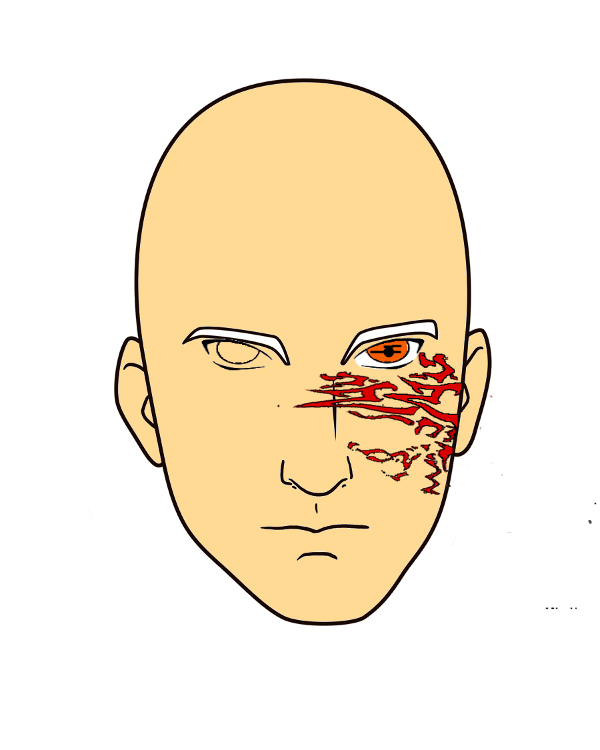 State 1: (needed to use a demons jutsu) Accessing demons chakra gives curse mark like markings to the side of the face; this is because these are equivalent to the summoning lines that appear on the ground where a hand is placed. The eye closest to the demon marking will also change to mimic the demons eye. Can only access one demon chakra nature at a time. If you want to change to using another demon it takes 1 post of conversion where the marking recede and the new markings appear. State 1.5: (Can use two demon charkas at once but requires both hands signs to be done before either is used) Using two demon chakras at once, the curse markings appear on both sides of the face representing the two demons summons, one eye for each demons aswell. State 2: One of your demons chakra starts to physically manifest outside of your body, this is the state that most people mistake as a Susanoo as it looks extremely similar. In this state you can use the powered up version of whatever demon is manifesting’s jutsu. This state takes up 25 chakra a post. State 3(Must be Chunin rank and in the thread your Chakara must still be 75 percent.You retain the Susanoo manifestations): Using all of your Demons chakra natures as once, the markings cover the entire body (If hosts has 3 demons the third eye is opened on forehead) and it gives the person a significant boost, strength,perception and speed increase by 2 ranks and all jutsu count as 1 rank higher than what they would normally be. However this state can only be brought on by extreme emotions and has a 1/3 chance of automatically going into state 4 after 1 turn. State 4: the host’s normal demons marking vanish and new black ones spread across their body, their eyes return to normal and they cannot move. A 3 metre diameter circle around them appears and that looks look the marks that appear after someone places their hand down for a summon. This develops in a few seconds and after that slowly one by one the host’s demons can leave the person’s body causing extreme pain. State 1: (needed to use a demons jutsu) Accessing demons chakra gives curse mark like markings to the side of the face; this is because these are equivalent to the summoning lines that appear on the ground where a hand is placed. The eye closest to the demon marking will also change to mimic the demons eye. Can only use 1 demon jutsu at a time. State 1.5 the jutsu performed in state 1 is buffed up to be equivalent to one rank higher than what the jutsu normally is but this causes the jutsu to require 30 more chakra points. State 3(Must be Chunin rank and in the thread your Chakara must still be 75 percent. You retain the Susanoo manifestations): Using all of your Demons chakra natures as once, the markings cover the entire body (If hosts has 3 demons the third eye is opened on forehead) and it gives the person a significant boost, strength,perception and speed increase by 2 ranks and all jutsu count as 1 rank higher than what they would normally be. However this state can only be brought on by extreme emotions and has a 1/3 chance of automatically going into state 4 after 1 turn. State 1: (needed to use a demons jutsu) Accessing demons chakra gives curse mark like markings to the side of the face; this is because these are equivalent to the summoning lines that appear on the ground where a hand is placed. The eye closest to the demon marking will also change to mimic the demons eye. State 3: (Must be Chunin rank and in the thread your Chakara must still be 75 percent. Keeps the same appearance as State 2)) opening the gateway the widest this allows you to not only create and control the element of your demon but also gives the person a significant boost, strength,perception and speed increase by 2 ranks and all jutsu count as 1 rank higher than what they would normally be. However this state can only be brought on by extreme emotions and has a 1/3 chance of automatically going into state 4 after 1 turn. Taming Demons (required Jounin rank with Perception B Rank and Endurance of C-3, Minimum of 3000 words and 500 ryo. This must be done for each Demon individually) When completed host can use State 3 without the risk of entering State 4. Furthermore the host can then learn other chakra nature for their character apart from the first one they started off with. State 3 costs 15 chakra a post. Assimilating your demon (Chunin rank with perception of B, Minimum 3000 words for each demon assimilated but no ryo is needed) the darkest method of control possible, you eradicate the demons conscious through mental will alone and steal its powers and chakara, even among the Shīringu clan this method is considered taboo and frightening. This is because you lose yourself through the process ,all of the demons negative emotions are fused with your own personality furthermore it also causes your body to take on the features of the demon in part (for each demon) be it an arm, leg, back or obtaining additional extremities from it. Along with this you are forever branded with the marking given by state one across your face forever and your eye remained endlessly changed. This method gives you control of the demons power and allows you to initiate state 3 (The eternal markings glow) however it doesn’t give you control over the elements and only pushes your speed and strength up one rank and your jutsu up one rank, it costs 20 chakra per post to keep activated . Furthermore the host can then learn other chakra nature for their character apart from the first one they started off with. Djinn are generally the most visually impressive of the threes demons. Djinn are based of ancient legends of genies and seem to be the most wrathful of all the demons, although this can vary. Short fuses and arrogance seem to be a general staple of the Djinn within the human world and they are often the first to offer their power in hopes of escaping (rooted from ironic twists that genies wishes bestow). All Djinn are humanoid shape. 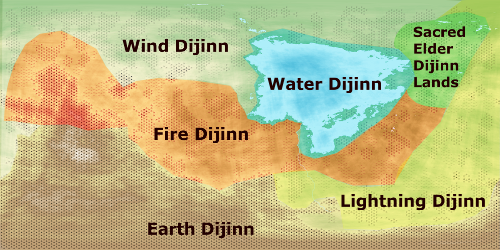 Djinn world ranges from crashing oceans to jagged mountains. Each elemental species of Djinn has their own country where they live and survive and thrive. The world is run by a monarchy were an elder Djinn has the final word on all that goes on in the country. The area surrounding the Elder Djinn temple is also a place where all Djinn can go regardless of element, a unified area of peace basically. Spirits or Elementals are often the most subtle of the three types of demons. Their bodies consist entirely or almost entirely of the element they are linked to and they are generally the most out spoken. Regardless there powers are still impressive and their mastery of their element can be very dangerous. Spirits appear as humanoid or animal shaped consisting almost entirely of their element. 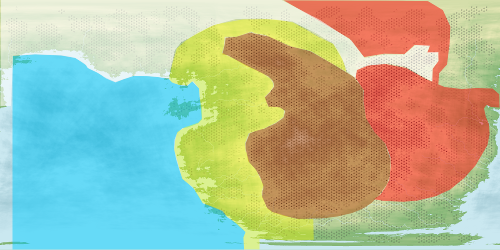 Spirit’s world have a much more gentle range of terrain, there are area with harsh storms and mountains buts mostly its smooth fields, sweeping deserts, tranquil oceans and gentle mountains. The spirits or elementals are varied in terms of personality but most are content with living out there lives. Those who escaped in the human’s world were elementals that have nothing to lose, like criminals and as such the Shīringu believes that all spirits are evil. The spirits world has a unified government where each elemental region has a representative (Similar to the kage). The government is stable and the spirits world has no conflicts within it. The most varied of the three types of demons. The ones actually labelled as demons or Akuma are the most inconsistent of the three. Their personalities can range from basically anything and there physical form can be humanoid, animalistic a cross between the two or basically any other shape (However they do gain a humanoid form when sealed). The demons world used to be run as a monarchy, however due to the death of the king the world has now devolved down into a massive war. Water,Earth and Fire have massive battlefields set up while Lightning and Wind have almost been entirely eradicated and in desperation formed a truce to keep themselves alive. Overal the world is now harsh and only the strongest survive. When the portal opened across the lands only those who had nothing to lose fled into the human world. These spirits are just manifestations of the user's chakra, right? They can't be real spirits/demons. "Good and evil are just words. It is not my place to judge their worthiness." Bokuden wrote: These spirits are just manifestations of the user's chakra, right? They can't be real spirits/demons. They are suppose to be real. They are like summons they are just from a other dimensional plain than the animal ones and instead of being able to be summoned to begin with they are sealed inside hosts. Too high fantasy for Saga. We don't delve into the realm of spirits/demons/gods/mythology in the everyday world. Ryūsei wrote: Too high fantasy for Saga. We don't delve into the realm of spirits/demons/gods/mythology in the everyday world. Fundamentally they are summons like most other summons its just instead the summons can be humanoid and are sealed in a host. Their worlds would probably never be reached in universe i had just done that for more world building. It's not something we really allow. 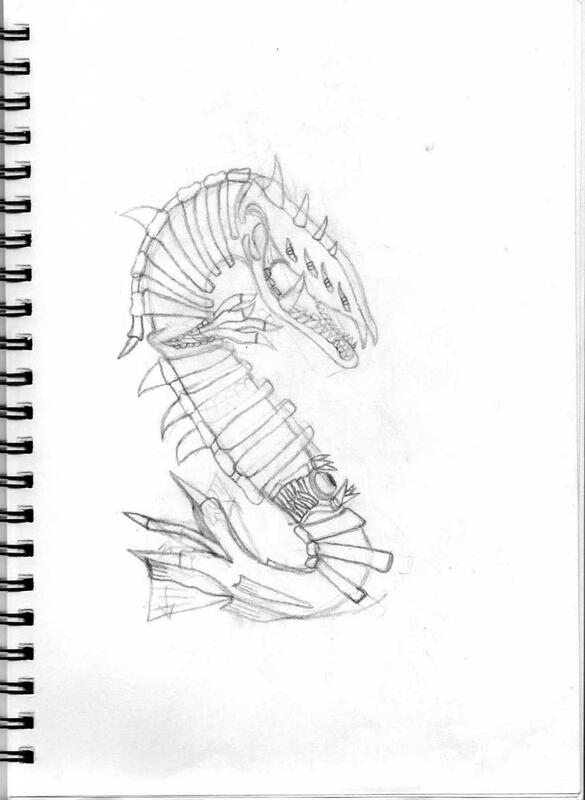 Creatures that are simply manifestations of the user's chakra we can work with. Crossing planes of existence and dimensions isn't something we usually allow though. Bokuden wrote: It's not something we really allow. Creatures that are simply manifestations of the user's chakra we can work with. Crossing planes of existence and dimensions isn't something we usually allow though. Would it be allowed if i changed it so that like other summons the Djinn,Spirits and Demons used to have there own land like Mount Myoboku, Ryūchi Cave and Shikkotsu Forest but it was wiped out due to there power and those who had not been killed (Basically the Djinn,Demon and Spirit of actual characters) are the only ones left and were sealed in hosts. It's the fact that they are demons/spirits that won't allow them to be used normally. Something like that would normally only be allowed through or in an event. Bokuden wrote: It's the fact that they are demons/spirits that won't allow them to be used normally. Something like that would normally only be allowed through or in an event. is there anything i can do that will allows them to retain the Demon/Spirit ascetic but also allow the clan to be accepted? Make them not actual demons/spirits but just manifestations of the users chakra created through jutsu. They can symbolize whatever they want, but they can't be real demons and get approved. Bokuden wrote: Make them not actual demons/spirits but just manifestations of the users chakra created through jutsu. They can symbolize whatever they want, but they can't be real demons and get approved. How would that work though in the whole term of if the Demons/Djinn/ Spirits are released though. I had the idea of having a monk who believed in these creatures some much to the point of which he created genjutsu of them and as it progressed the genjutsu got so advanced it became a reality. Would that be allowed? Genjutsu into reality? Ehhhh, reality warping isn't really a thing. Someone would have to use a jutsu to physically create them. Then they could be summoned as jutsu later, but they would still have the will of the user, not be sentient. Ryūsei wrote: Genjutsu into reality? Ehhhh, reality warping isn't really a thing. Someone would have to use a jutsu to physically create them. Then they could be summoned as jutsu later, but they would still have the will of the user, not be sentient. So basically i cant have them be sentient and demons? The main point of the Djinn is that they are sentient, without that there is no point in them apart from them just being a chakra buff and that has already been done. Yet you allow animal summons with full sentience? Animals and demons are the exact same thing? Sitting here and trying to argue with me won't change my decision. Bokuden wrote: Animals and demons are the exact same thing? Sitting here and trying to argue with me won't change my decision. so if i had them being animal creature (or animal based) it would be allowed? the other idea i had was that they would only be Djinn(genies) and genies would just be another species of human just with more pronounced elemental based abilities and they are sealed in normal humans. The policy with summons under all normal circumstances is that if they are a living creature they have to currently exist in nature in some form. I.e. Toads & Snakes. Ryūsei wrote: The policy with summons under all normal circumstances is that if they are a living creature they have to currently exist in nature in some form. I.e. Toads & Snakes. 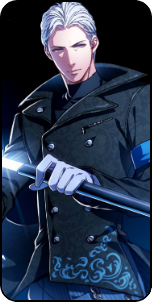 in terms of summon he would most likely be related to the snake summons. Would that be allowed in terms of my clan. Having it that its basically fantasized versions of animals from the other summons Ie: dog summon sealed within someone would be like Cerberus. So the clans Kekkei Genkai is that they seal powerful summons within them, said summons often being abomination of the clan being strange mutations. Uhhhhh, kabuto never summons a dragon. He calls himself a dragon sage. He's still just a snake. It's not enough to be related to the animal. It has to be the animal. Any deviation would have to be clan specific and have an explanation as to why it exists. You can't use chakra to create a sentient creature because that is yin/yang release which is prohibited. And the problem with having a clan specific summon is that it needs to be mortal, since it is a living creature. Basically, if you have a clan specific summon and someone kills it the clan would become null. This is why even summoning clans usually specialize in summoning one type of creature. Mutating creatures into fantastical forms is not acceptable either. You get to summon any animal that actually exists, but it actually has to exist. If we start letting people just make three headed dogs that were randomly mutated there would be no point in the rule existing because everyone would just try to use loopholes to game the system. You aren't summoning demons/djinn/spirits. It's not enough to be related to the animal. It has to be the animal. Any deviation would have to be clan specific and have an explanation as to why it exists. The point of this new version of the clan based around the fantasized animals is that the clan basically existed to contain these freaky mutations. So yes these mutations would be clan specific, in universe this would be because the clan exists to keep these strange monstrous versions of normal summons out of the view of the public, no one can get them as summons because as soon as they appear they are contained and sealed as killing them may not be practical and it could also cause some tensions between humans and the animal summons. They exists because of incidents with nature energy,the general idea is that certain summons tried to use nature energy but without correctly knowing the technique it failed and caused them to disfigure and change. Bokuden wrote: You can't use chakra to create a sentient creature because that is yin/yang release which is prohibited. And the problem with having a clan specific summon is that it needs to be mortal, since it is a living creature. They are not made of chakra they are animals like anything else and they are mortal aswell. If they did get out of the host it is entirely likely they could be killed albeit difficult. Bokuden wrote: Basically, if you have a clan specific summon and someone kills it the clan would become null.This is why even summoning clans usually specialize in summoning one type of creature. Mutating creatures into fantastical forms is not acceptable either. You get to summon any animal that actually exists, but it actually has to exist. If we start letting people just make three headed dogs that were randomly mutated there would be no point in the rule existing because everyone would just try to use loopholes to game the system. You aren't summoning demons/djinn/spirits. I think there has been a misunderstanding and that is mostly my fault for all the summons comparisons and a section in my clan so allow me to clarify. These creature sealed within Shiringu clan people know as Lamps can not be summoned...ever, they can not function as summons and will never be able to fill out a proper contracts. The point is these mutations are sealed away in hosts to keep there power in check. A better comparison is that the clan works similar to Jinchūriki however instead of tailed beasts, it is abominations of summoning animals. I'm sorry, I know that you want super fantasized animals, but it's simply not something that we allow. No cerberus, no dragons, no unicorns, no spirits, no demons. As long as that is the main point of this clan it will always be a point of contention.